Lotsane is a newly-built hunting lodge in the Tuli Block in Botswana. The Tuli Block is located along the Limpopo River in the south-eastern part of Botswana. The lodge, the restaurant and the rooms are located in the southern end of the farm, right where the Lotsane River and the Limpopo River come together. 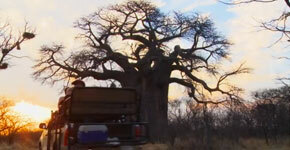 Lotsane Safaris offers both hunting and safari trips in Botswana, Afrika. Furthermore we offer loads of cultural, locale og nature activities by way of trips, museums and sightseeings for both grown-ups and kids.